7 REASONS WHY YOU SHOULD STOP TAKING DIET 'ZERO-SUGAR' DRINKS. 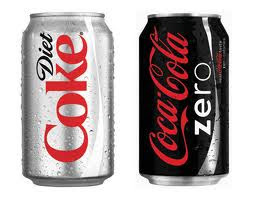 Diet soda is the constant companion of dieters everywhere, who feel that they're getting a bargain by getting flavor and hydration, all for zero calories. While diet soda may be free of calories, it's not free of health side effects. Let's look at a few of the risks associated with diet soda. Here's something you didn't know about your diet soda: It might be bad for your kidneys. In an 11-year-long Harvard Medical School study of more than 3,000 women, researchers found that diet cola is associated with a two-fold increased risk for kidney decline. Kidney function started declining when women drank more than two sodas a day. Even more interesting: Since kidney decline was not associated with sugar-sweetened sodas, researchers suspect that the diet sweeteners are responsible. Your first bad decision was ordering that Vodka Diet--and you may make the next one sooner than you thought. Cocktails made with diet soda get you drunker, faster, according to a study out of the Royal Adelaide Hospital in Australia. That's because sugar-free mixers allow liquor to enter your bloodstream much quicker than those with sugar, leaving you with a bigger buzz. Diet sodas contain something many regular sodas don't: mold inhibitors. They go by the names sodium benzoate or potassium benzoate, and they're in nearly all diet sodas. But many regular sodas, such as Coke and Pepsi, don't contain this preservative. That's bad news for diet drinkers. "These chemicals have the ability to cause severe damage to DNA in the mitochondria to the point that they totally inactivate it--they knock it out altogether," Peter Piper, a professor of molecular biology and biotechnology at the University of Sheffield in the U.K., told a British newspaper in 1999. The preservative has also been linked to hives, asthma, and other allergic conditions, according to the Center for Science in the Public Interest. With a pH of 3.2, diet soda is very acidic. (As a point of reference, the pH of battery acid is 1. Water is 7.) The acid is what readily dissolves enamel, and just because a soda is diet doesn't make it acid-light. Adults who drink three or more sodas a day have worse dental health, says a University of Michigan analysis of dental checkup data. Soda drinkers had far greater decay, more missing teeth, and more fillings. Sometimes, the vessel for your beverage is just as harmful. Diet or not, soft drink cans are coated with the endocrine disruptor bisphenol A (BPA), which has been linked to everything from heart disease to obesity to reproductive problems. That's a lot of risktaking for one can of pop.